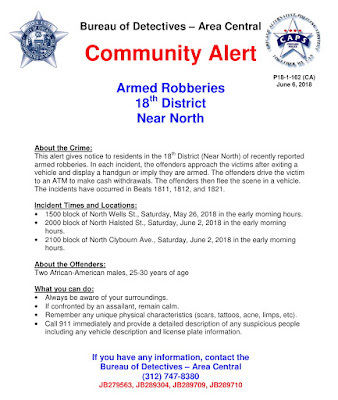 Approximate locations of three robberies included in today's police alert. 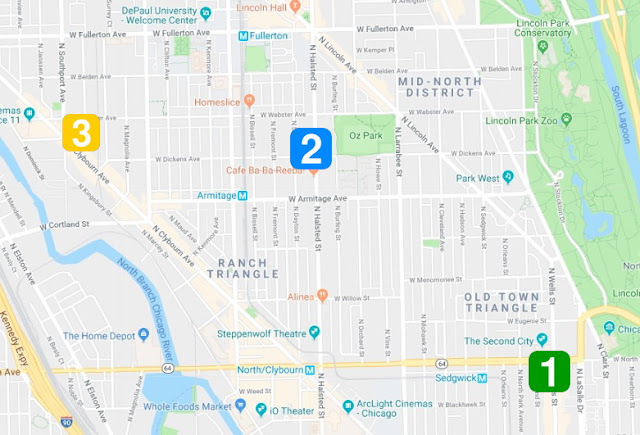 Gunmen have abducted at least three people and forced them to withdraw money from ATMs in Lincoln Park since May 25th, police said. No one has been injured. 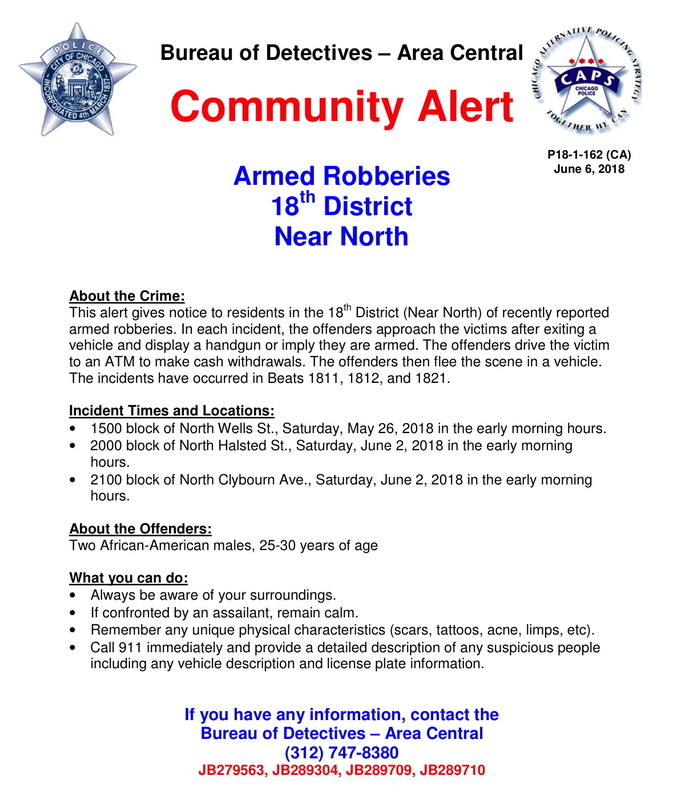 Cops issued a community alert on Wednesday, a strong indication that investigators believe that the same offenders are responsible for the crime pattern. All of the incidents have occurred during the early morning hours. Two offenders have been emerging from a car while displaying a handgun or implying that they are armed, police said. The victims have been forced into the vehicle and driven to ATMs to make cash withdraws, according to the alert. After getting cash, the robbers drive away. Police said the suspects are two African-American men between 25-and 30-years-old. The Clybourn victim said the men were wearing dark clothing and drove a dark-colored sedan. Anyone with information about the cases is asked to call Area Central investigators at 312-747-8380. Exclusive, original reporting for Lakeview. We can only do it with your support. Subscribe for just $49 a year or $5 a month to receive members-only reports and services. Or, name your own amount. The choice is yours. Thanks so much!